This is the view we have while sitting at our kitchen table eating our meals – the beginning of our farm, along with the road out front & the railroad tracks in the background. 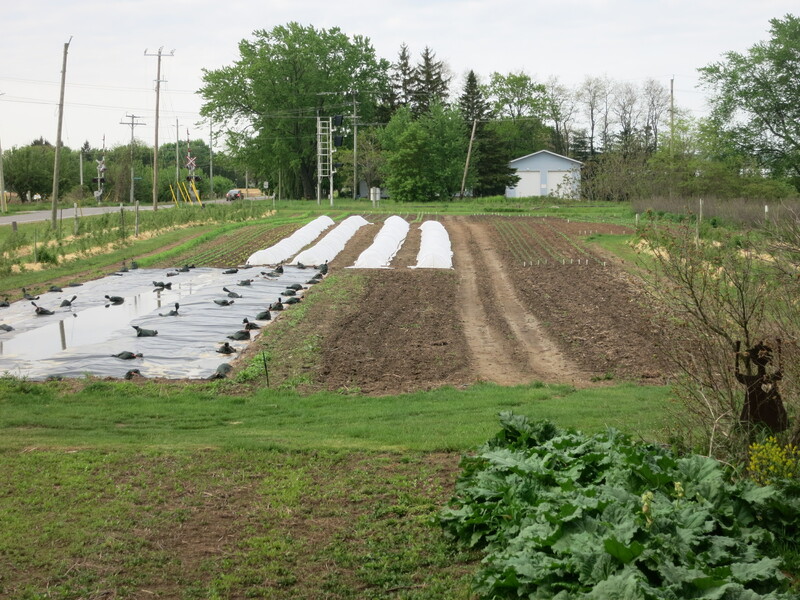 It’s much the same view I’ve had my entire life – except the crops have changed through the years. When I was growing up, this area was a sour cherry orchard. I remember massive old trees covered in white blossoms in spring and bright red, tart cherries in early summer. When the crop was off we would play in the trees. These cherries were eventually replaced by peach trees, then another peach orchard, followed by raspberries these last 20+ years. When most of the raspberry canes succumbed to the drought last summer, we yanked them out. 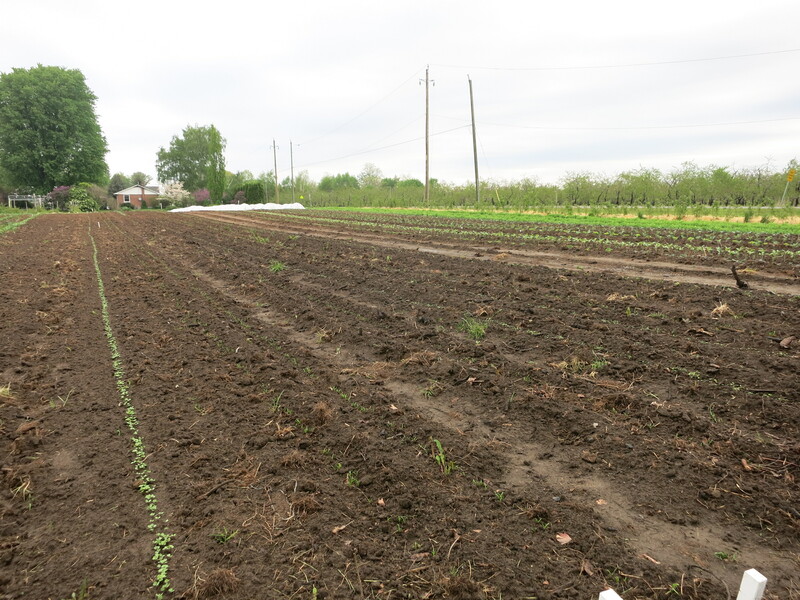 Now our view is vegetables – the first vegetable crops of the season. 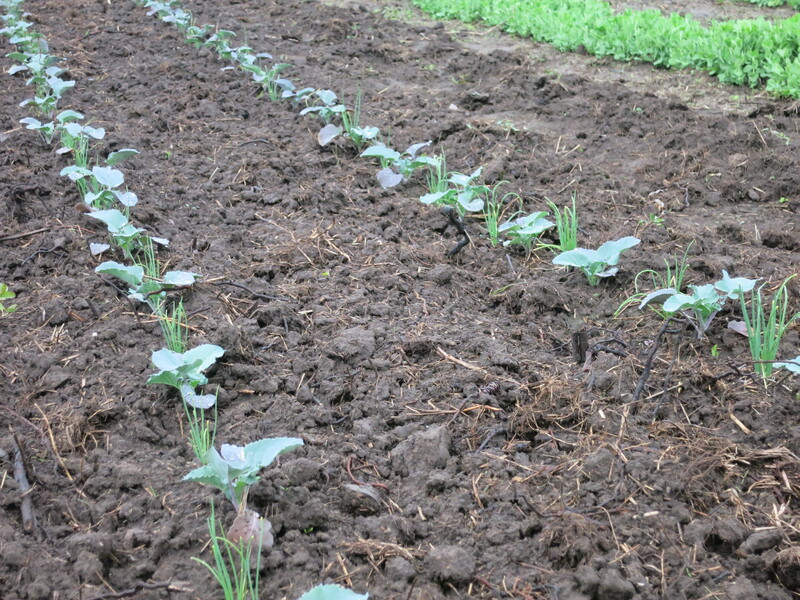 Daily we can see change as the plants grow & the green rows become more visible from our window. 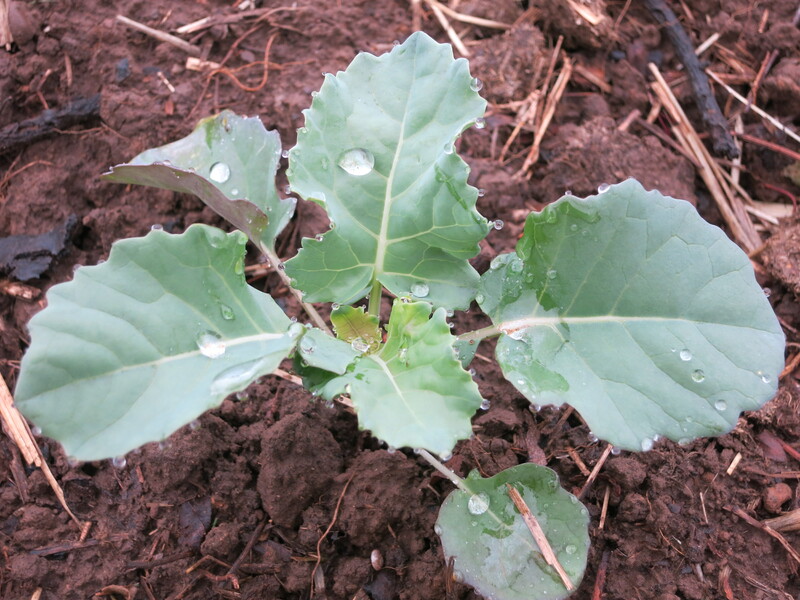 … there is kale, beets, more onions, kohlrabi, cauliflower, & broccoli. 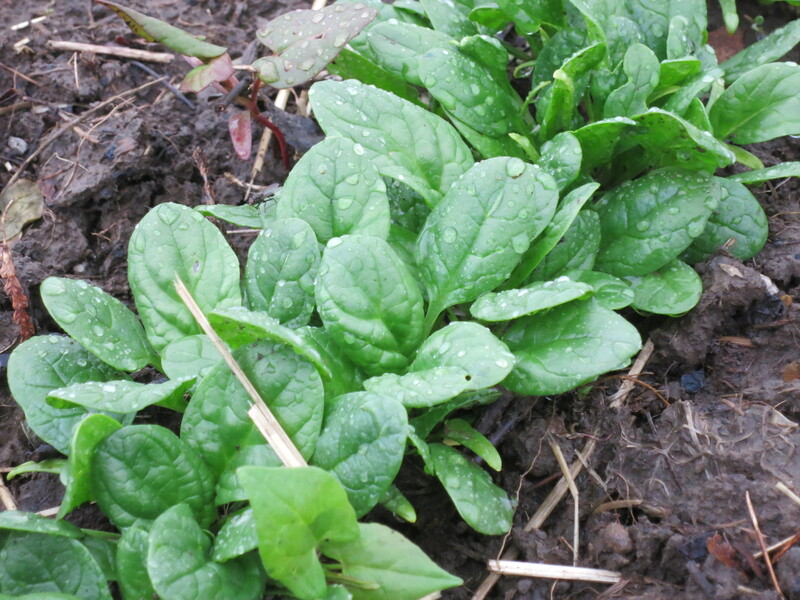 Sowings of arugula, more spinach & lettuce are just germinating after this last rain on the weekend. A closer look at the vegetables reveals their beautiful colours & shapes! 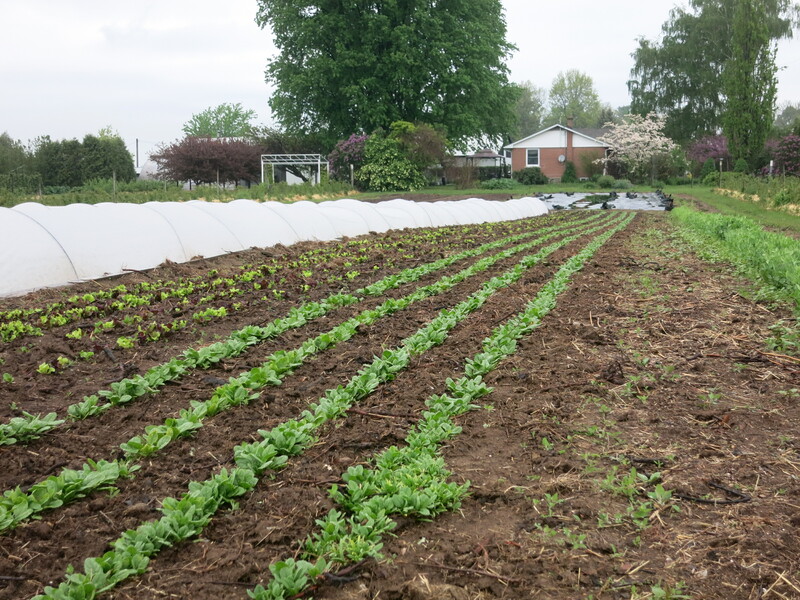 We are trying more intercropping this year. 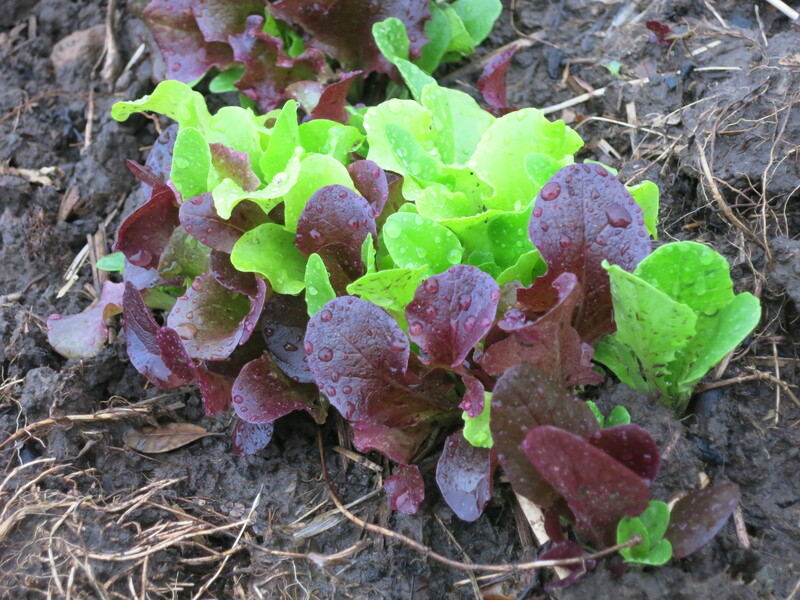 Our head lettuce is planted between our cauliflower plants. 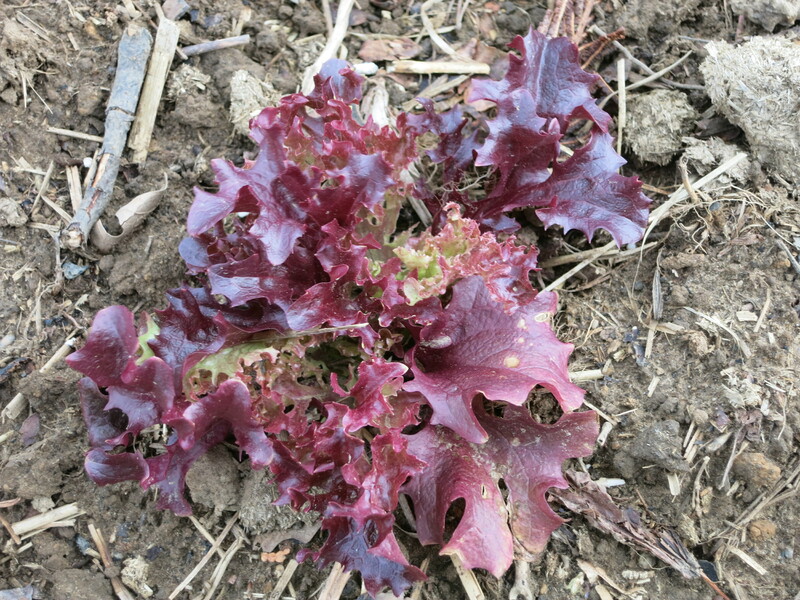 The idea is that the lettuce will mature, be harvested & gone by the time the cauliflower has grown big enough to need all the space. 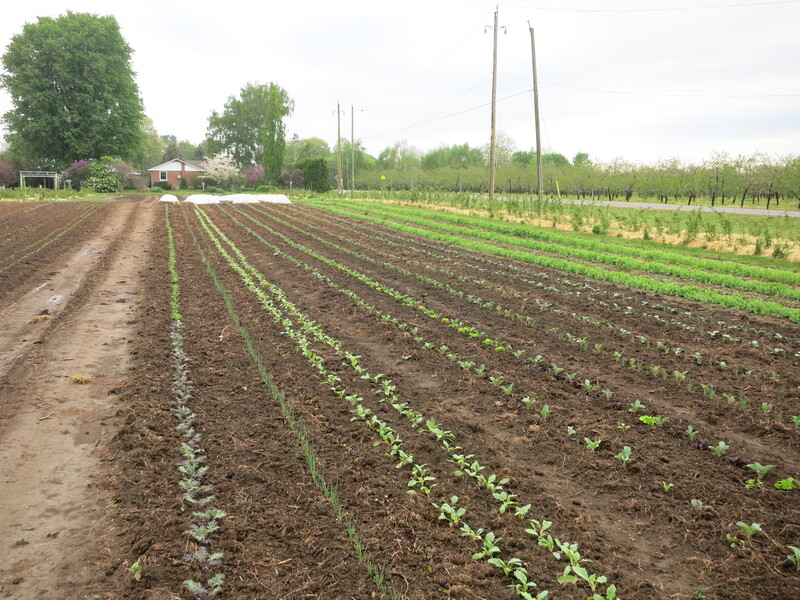 Overall, our view of the vegetable gardens – from the kitchen table, or outside, or close up – is a beautiful sight! And we are enjoying it very much. 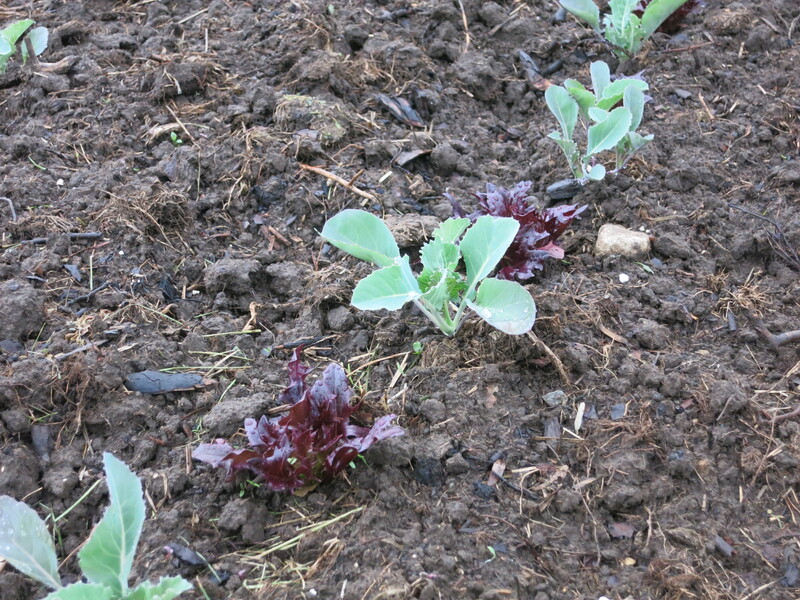 But even better will be eating these vegetables … soon! !